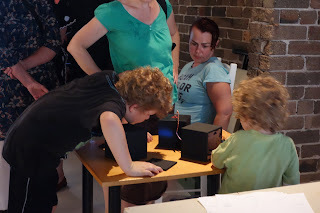 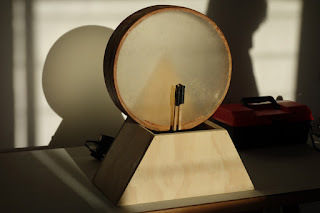 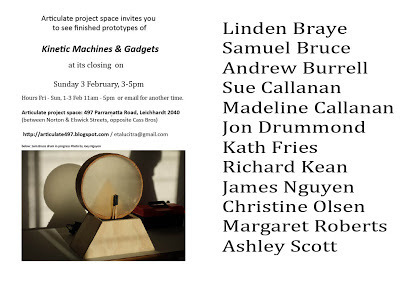 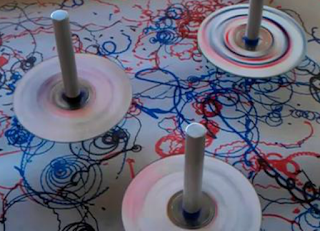 Kinetic Machines & Gadgets is a project by 12 artists who will work in the project space for a fortnight on individual or collaborative gadgetry or gadget-ideas. 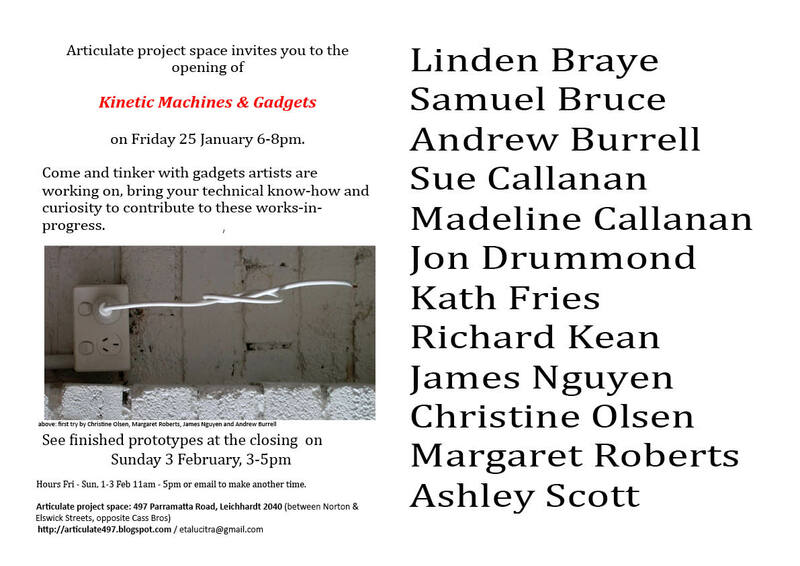 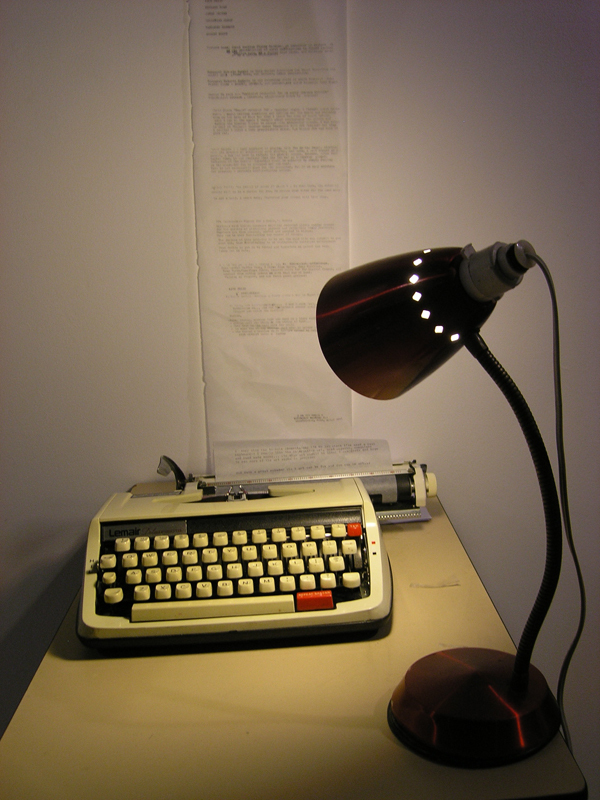 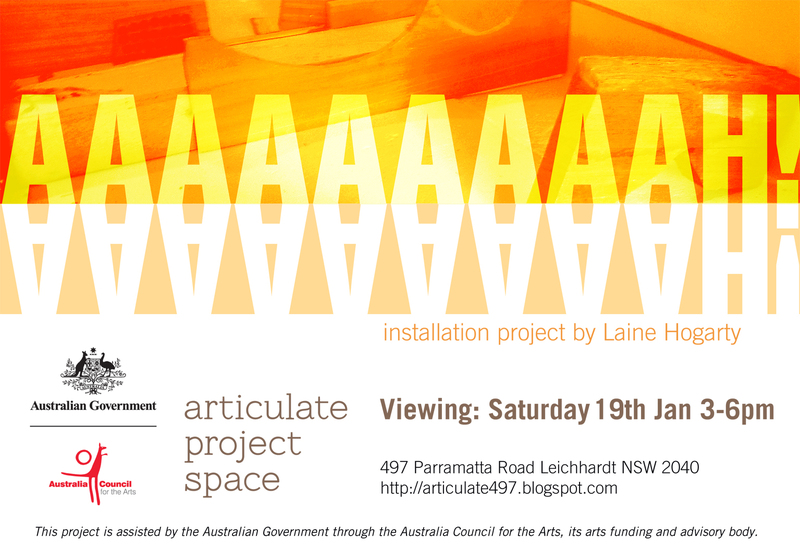 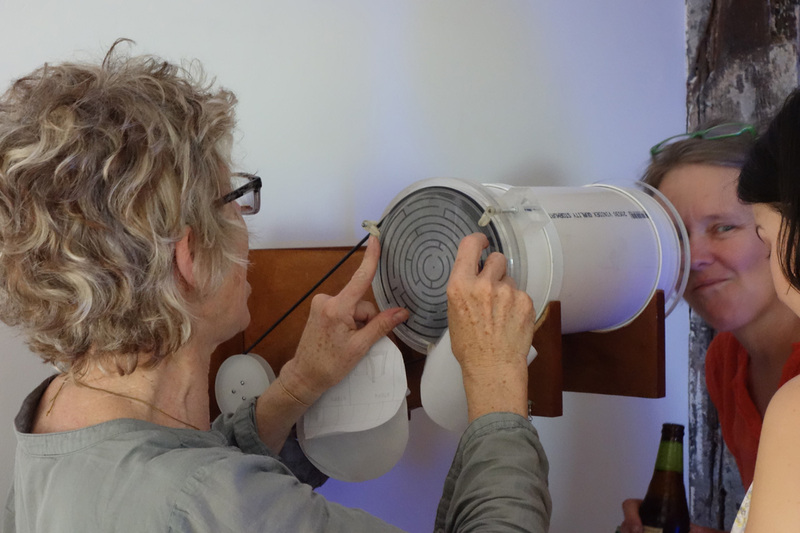 Come to the opening on Friday 25 January 6-8pm and look at, advise on and even tinker yourself with gadgets-in-progress. 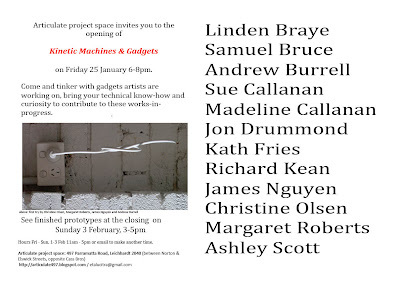 It will be open again on Fri- Sun 1 - 3 Feb (11am-5pm) - come again to contribute further, or just to see what progress has been made. The plan is that 'finished' prototypes will be on show on the closing on Sunday 3 February from 3-5pm. The AAAAAAAAAAAH! 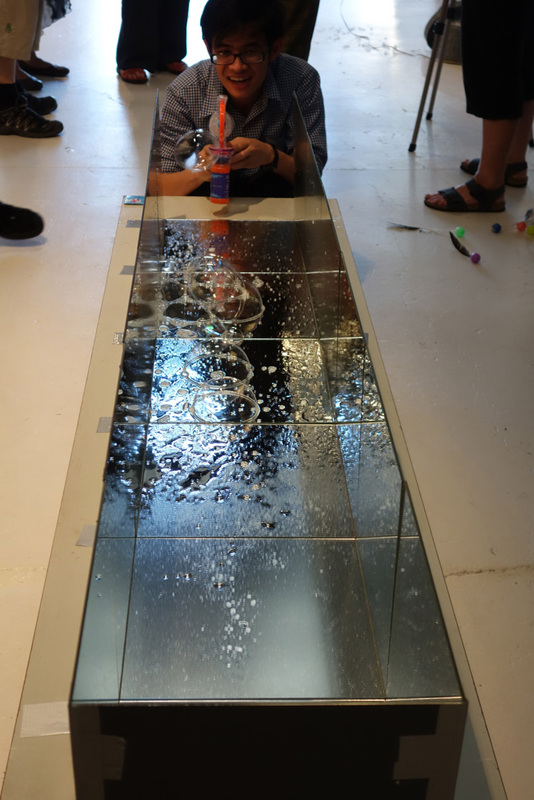 project explores the concepts of restricted passage through space. 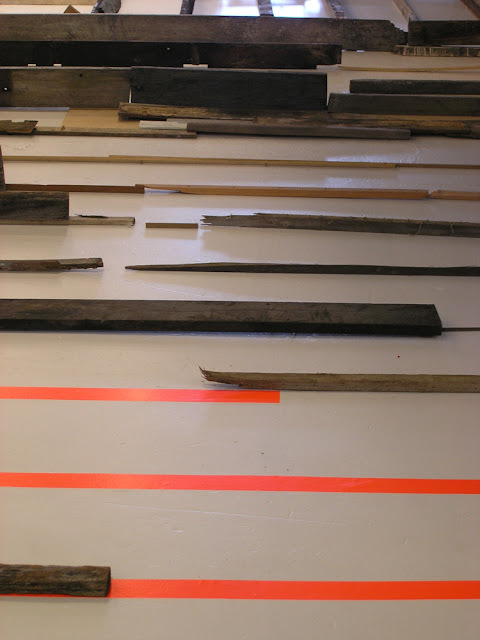 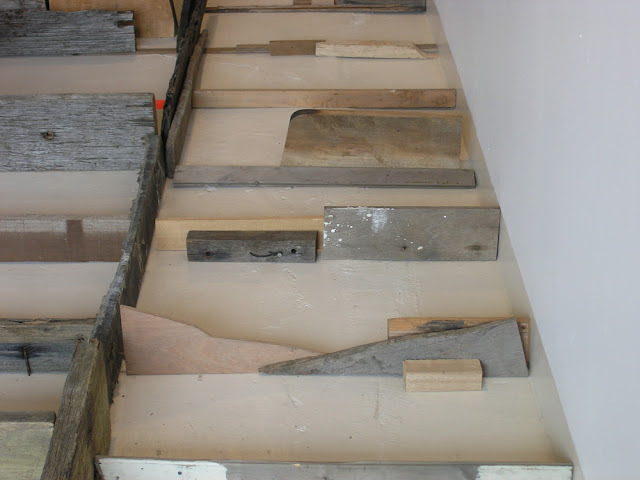 The floor installation reflects the architecture – a mirror image of the structural beams are laid carefully on the gallery floor using reclaimed timber from Boats built and restored in Putney in Sydney. The work appears to only be on one plane, however it’s dialogue extends vertically through the space. 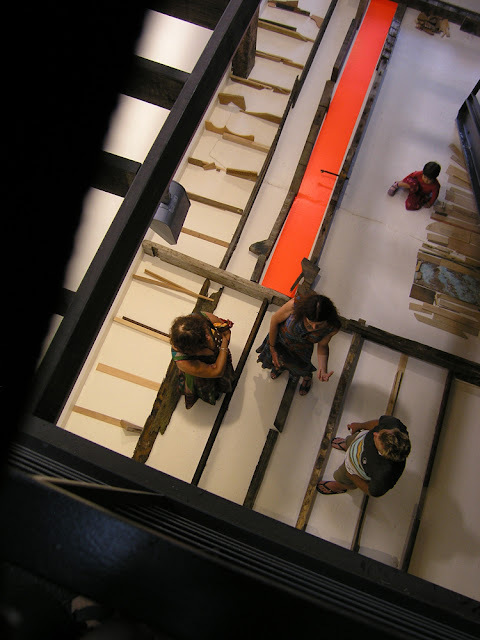 A volume of space is realised when the viewer makes a link between floor work and the buildings structural beams. The beams which are supportive maintain the integrity of the space by offering a structural framework which allow us to traverse the space safely. By contrast the reflective floor work is decorative and has no functional value. 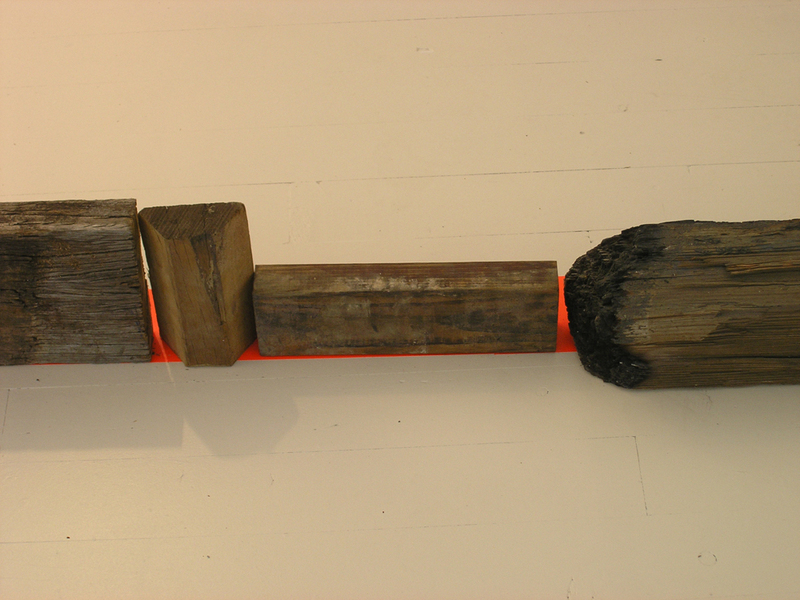 Instead it creates an obstruction that forces the viewer to adjust the way they negotiate the space. This engagement with the work presents the AAAAAAAAAH! moment when the audience decide to engage the space despite the obstacle of the artwork.